SACRAMENTO, CA, February 11, 2019 – The National Grape Research Alliance (NGRA) held its Annual Meeting of Members on January 28, 2019, electing Vice Chair Tom Smith (shown here) of E. & J. Gallo Winery to succeed outgoing Vice Chair Rick Stark of Sun-Maid Growers of California. Its three additional officers were re-elected to their posts. New members from across the U.S. also were elected to the NGRA Board of Directors. Vice Chair Tom Smith is Vice President – Winegrowing at E. & J. Gallo Winery. Tom has been involved with NGRA for much of its 15 years, and is currently California Regional Representative on the NGRA Board of Directors. He will continue as Regional Representative and will serve as Vice Chair until 2020. Fellow NGRA officers Secretary/Treasurer Dan Martinez (Martinez Orchards) and Past Chair John Aguirre (California Association of Winegrape Growers) were re-elected for one-year terms. 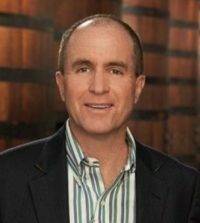 Board Chair Tony Stephen (American Vineyard Foundation) is now in his second year of his two-year term. Click here to view the full list of NGRA officers, Board members and staff.